You must make reservations at least 5 minutes in advance of the time at Sea Breeze Fish Market & Grill. 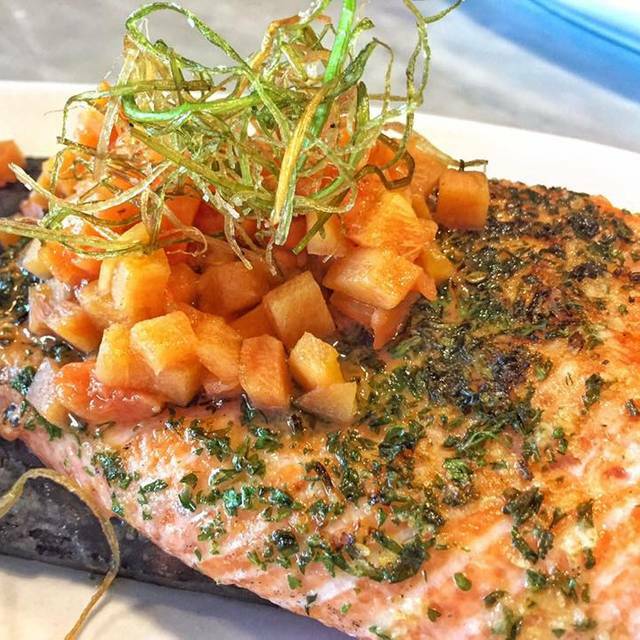 Sea Breeze Fish Market and Grill is your everyday gourmet, fast casual seafood restaurant and market. We offer a friendly, neighborhood environment that makes you feel right at home. The creativity of our chefs shines through with a variety of uniquely flavored seafood dishes along with some authentic regional favorites. The seafood market features the freshest, in-season seafood flown in all week long. At Sea Breeze we can handle your dine-in, carry out, cook at home, special occasion and catering needs. This fish market cafe has some of the best sea food fare in Plano/Frisco. What a breath of fresh air for the suburbs. These guys have been in business for a long time for a reason. Our server was super warm and friendly too. Will be returning very soon. Always good service and reliable, good fresh seafood for a fair market price...for Dallas anyway! Excellent seafood and fish. Everything prepared perfectly. Exceptional service and inviting staff. Sea bass serving size could have been slightly larger for price, but the freshness of the fish and preparation made it well worth it. Will be back again. We have been coming here for years. Food is always good. Great wine specials. Fish always fresh and fantastic. We had the halibut and it was excellent. It has been a while since we last had dinner at Sea Breeze because of some very poor service. The food has always been good to excellent. We will go back as it is convenient and better than most of the seafood restaurants in Plano. We love the food at this place ! Always fresh ! We have eaten here since it opened. The food and service has always been top quality. It is one of only a few restuarants that we visit on a regular basis. Out with friends for dinner. The food was very good with Jessica being outstanding for service. First time we dined here and we were very favorably surprised. Menu was extensive given the physical size of the restaurant/kitchen. The food was outstanding, surpassed only by the service (from Jan). We can't wait to go back. It was very busy and louder because of that. Had our table ready and honored my requests to the letter. Waiter very good! small portion for price point. Florida stone crabs were in season and Devine. Would like to have seen them cracked more. Never caught our waitresses name she was awesome and understood the type of service we wanted. Celebrated moms 91st birthday and many sang to her. Very special. We also had the Oysters Rockefeller’s which were the best I’d had. Mom had the seafood combo, sis had the New England lobster roll and I had the pecan crusted trout which was super fresh with garlic c mashed and carrot. Paired perfectly!! This is our fifth visit and won’t be out last. We’ve taken friends who are now frequent visitors. No moscato, but I love the food. Fresh fish and excellent taste. 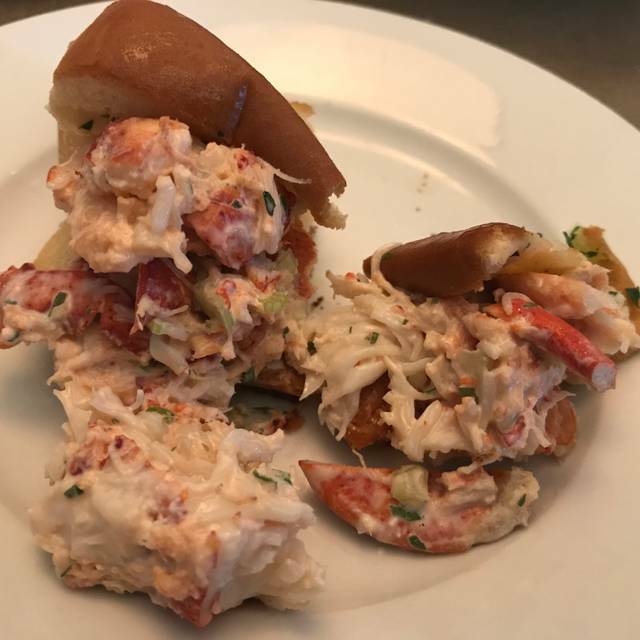 My husband has had almost everything, but I always have the fresh lobster roll and Asian slaw. We always return. We found this restaurant via open table and we are so happy we did! Great, fresh seafood, excellent and knowledgeable service. Thank you to Jann, our server, for making our first dining experience here so perfect; we will be back! We found out some time after we had ordered our entrees that one of the entrees was no longer available. According to them they didn't anticipate the crowds on this Saturday evening. Sides were brought out before the main course. Food was just ok, so overpriced in my opinion. Ordered a dessert to share. A few minutes later, the same news "we don't have any more key lime cheesecake", same reasoning too. They gave us a free dessert...ice cream pie which again was just so so. Wish I had a better report for this place. Incredibly prepared fresh seafood. It’s a family favorite! This was our 1st time to come to Sea Breeze. Cindy and I are both big fans already and will be back very soon. Our server was Jessica and she was AWESOME. The food was fantastic and the food was great. Looking forward to another trip to Sea Breeze. Best seafood in the area! Not fancy or pretentious, just great food! Best and freshest seafood in Dallas! This incredible restaurant is a jewel. The food is impeccable, the servers are knowledgeable, extremely accommodating and professional! We love Sea Breeze and we recommend it to all of our friends and family! Excellent food prep & presentation. Service was exceptional!! Love that we can now make a reservation! Great food and great service and love Jan's Pie! Our first time to Sea Breeze and we will be back. I had the New England sampler and the wife had the crab cake plate. I was a bit disappointed with the 1/2 lobster roll as I was expecting something a bit bigger but it gave me a taste of what a full roll would be like. Clam chowder was good and probably best in DFW. The fried clams were just ok, maybe a bit too much breading on them or something. Fried fish was a bit greasy but decent. Everything was perfect. Will be coming back often. Delicious- as always! Shrimp tacos were fabulous! 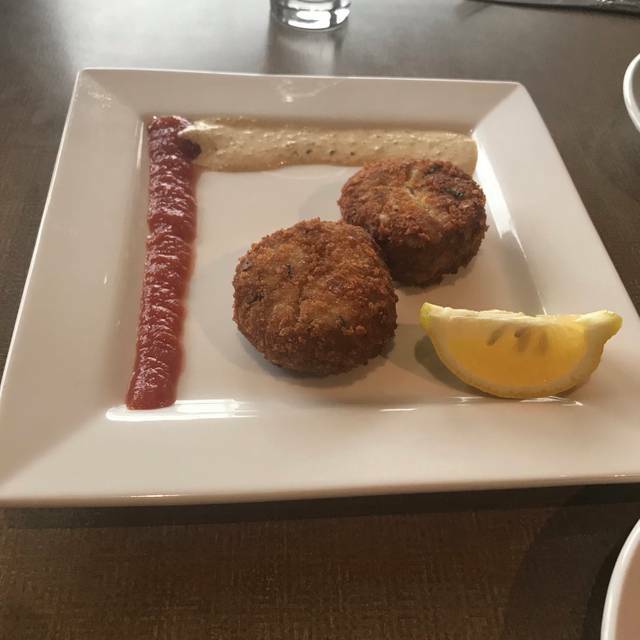 The crab cake appetizers were fabulous! They were light and crispy and the waiter brought both remoulade sauce and cocktail sauce. The broiled oysters were delicious and savory, even though they were small and mushroom risotto was a nice bit of comfort food. We were disappointed in the fried green tomatoes, crab meat and corn tower. The tomatoes were not tart and had little flavor and the corn/crabmeat was very sweet. We had the creme’ brûlée for dessert and it had way too much cinnamon on top which overpowered the dessert and tasted like red hot candy. The staff was friendly and very attentive and we will go back and order the crab cake entree and more oysters-they were yum!!! Always amazing fresh seafood. The fried oysters were great. No one does a better job preparing all types of seafood. The food was very good as always. We have never had a bad meal there. The service was excellent. Jann does a great job. The food here is always outstanding and I have been here many times, but I was disappointed in the service. Our waiter was not trained very well and actually told me I could not have another Cosmo because they were out of cranberry juice and did not suggest anything else or even ask if there was something else o might like instead. Hmm.. Superb food and great service. Every dish we had showed quality ingredients and love of food. We will definitely be back to this unexpected gem of a restaurant in the neighborhood. The menu for NYE was fixed priced. The food was fine, but overpriced. Would not eat there again with a fixed price menu. Fabulous as always. A true neighborhood gem.